The problems with my gallbladder started in a big way on my birthday in 1997. And they led to my gallbladder removal surgery a year later. In retrospect I had some symptoms of a problem before that day. I was frequently awakened by a pain in my upper back, usually around 3:00 AM. But on this day, the pain didn’t go away. It persisted for hours. I seriously considered the emergency room but decided that might not be the best plan. Instead, I was at the doctor’s office when they opened. Who sent me off to have an ultrasound because they were looking for gallstones. And there were none. Having classic gallbladder pain without gallstones tends to stump the doctors or at least it did back then. They can’t recommend gallbladder removal, because they have no evidence that the gallbladder is the problem. So my doctor recommended NSAIDs (Non-Steroidal Anti-Inflammatory Drug) for the pain and kind of gave up. Sadly, the pain did not. My doctor recommended a GI doc who ran some other tests. But he also got bored. At one point, I involved my gynecologist. Her suggestion was to go to Mayo Clinic. And if I decided to go that route, she would help me get there. Sometime in early 1998, I switched doctors. The new doctor ran more tests. Expensive tests. Still no answers. I got desperate. By April or May of 1998, I had been sick more often than not for over 10 months. I took to the internet. The 1998, dial-up, slow-as-molasses, internet! I found information about gallbladder problems that did NOT involve gallstones. There’s even a test for it. Back to the doctor, armed with this information. He says, “You have a better chance of winning the lottery than this being a gallbladder problem.” He also said my symptoms were NOT those of a gallbladder. (Except that everything I read said that they were classic gallbladder problems.) I let him know that I was considering Mayo Clinic. He didn’t like that much. At that point, he decided to run another test, looking for some autoimmune disease. When his nurse called with the results (negative), she said he had also decided to run this one more test for gallbladder function! That test involves injecting dye, then stimulating the gallbladder to release its contents – the same type of stimulation that occurs naturally when you eat a meal with fat in it. The expectation – of a normally functioning gallbladder – is that the gallbladder will release 70% of its contents. Mine released all of 6%! I saw that doctor one last time. He asked me how it felt to be abnormal. I refrained from asking him how it felt to be wrong. I consulted with a couple of surgeons and had my gallbladder removed a couple of weeks later. On my birthday. Before surgery, my sister asked if I was sure I wanted to have it removed. At the time, I didn’t know that there were any other options. I trusted the doctors. 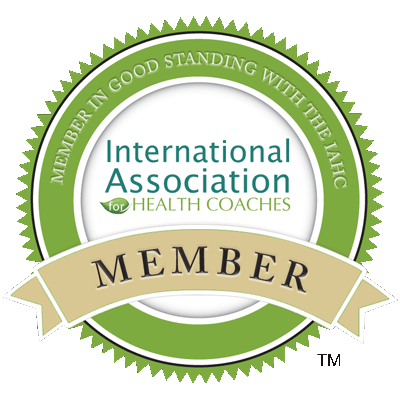 This is just one example of how I have been able to solve my own health problems. It’s partially out of desperation, since I couldn’t find a doctor interested enough in my problem. In hindsight, I should have bought lottery tickets back then. Have you had similar problems? What are your thoughts on gallbladder removal? I personally think there may have been other answers, which is the topic of this blog post. 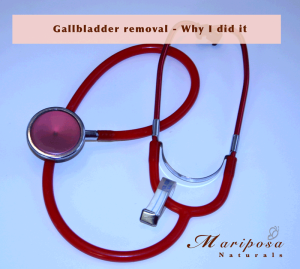 If you’re considering gallbladder removal, I encourage you to read my post about why I want my gall bladder back. I would love to help you explore other options.